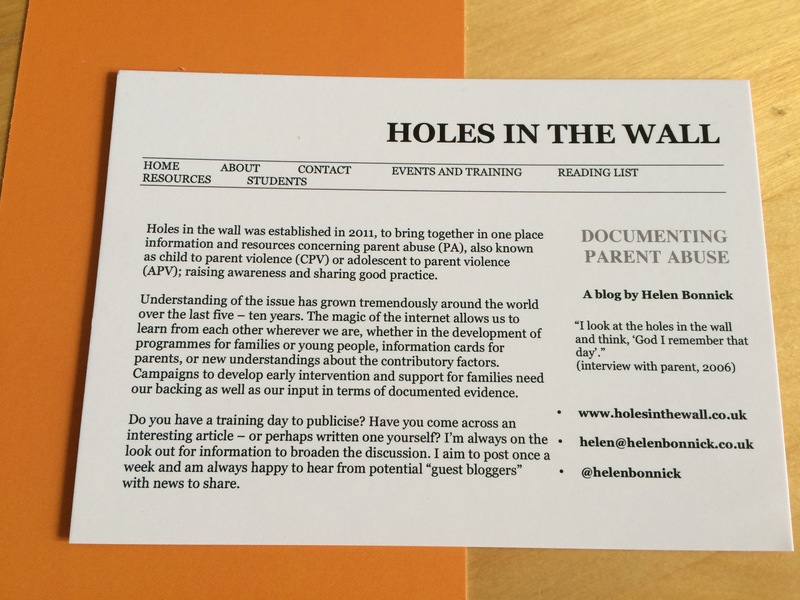 I am very aware when writing and collating material for training purposes, that while we have significant contributions from parents affected by abuse and violence from their children, there is much less attention given to the voices of the young people concerned. Over the last few months I have been conscious that this blog has focused very much on events in the UK, with some coverage of Australia and the US and little from elsewhere. But I am also aware that the readership spreads right across the world; and so I would like to try to bring some broader content to “balance” things out a little. I know that there is important work going on in many other countries, from reading bibliographies and from following news and events, through colleagues attending international conferences as well as from a google alert.